If there’s any superfood deserving of the title, it has to be ginger. For centuries, ginger has been touted as a cure-all spice — and for good reason. 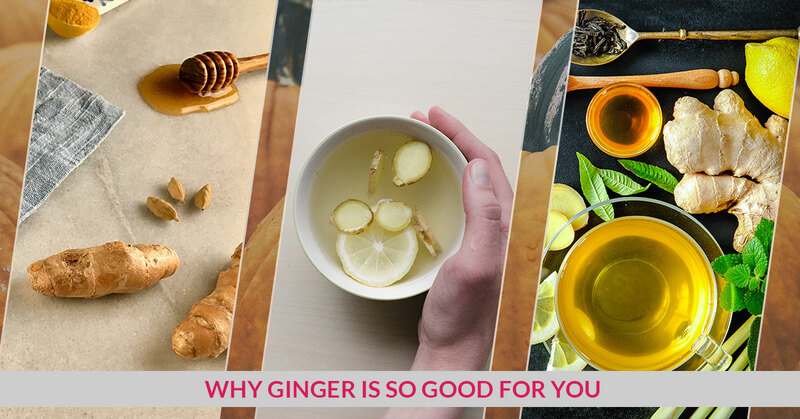 Whether you’re feeling under the weather or want to ease a nauseated stomach, ginger is one of the best solutions out there. Stop by Local Flow Health Bar in McMinnville today to try one of our fresh-squeezed juices, smoothies, and immunity shots that incorporate ginger. When it comes to the health benefits of ginger, the spice starts to seem like a magical substance. The best thing about ginger is that it’s not too good to be true — it’s affordable, accessible, and easy to grow. Check out these proven health benefits of ginger, and stop by Local Flow today for a healthy eating option in McMinnville. There’s a reason most stomach soothing and digestive teas contain ginger. In fact, ginger contains gingerol, which is the substance most closely linked to its medicinal properties. Whether fresh, dried, or powdered, all ginger contains this bioactive compound. Gingerol helps to reduce inflammation and serves as an antioxidant, so it’s great for anyone with chronic pain, gastrointestinal issues, or osteoarthritis. Ginger has been long hailed as a remedy for sea sickness and general nausea. While it has no direct effect on reducing vomiting, it has been proven especially effective with pregnancy-related morning sickness. Ginger is also used in chemotherapy patients, as it helps with the nausea-related side effects. So, if you had too fun of a night out at Linfield last night, stop by Local Flow Health Bar for a great anti-nausea treat. Blood sugar regulation is one of the most important functions of our body. When blood sugar is properly managed, we feel balanced, energized, and healthy. However, when blood sugar dips too low or soars too high, it can spell real issues for our bodies. Small-scale studies have found that ginger helps to lower fasting blood sugar by up to 12 percent. Ginger has recently been espoused as a great anti-diabetic substance for this reason. So, before reaching for the Advil, consider stopping by Local Flow for a delicious, ginger-infused smoothie instead. Thanks to gingerol, ginger can help to fight infection and inhibit the growth of bacteria. 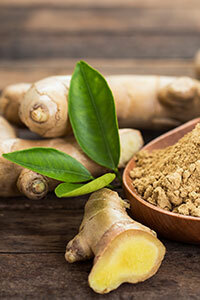 Used most commonly to treat gum disease, ginger is particularly effective against oral bacteria. If you’re looking for a healthy eating option to get your daily ginger fix, check out our featured menu items at Local Flow Health Bar. You can also add ginger to any healthy eating meal you get! Stop by Local Flow today to benefit from this amazing superfood.